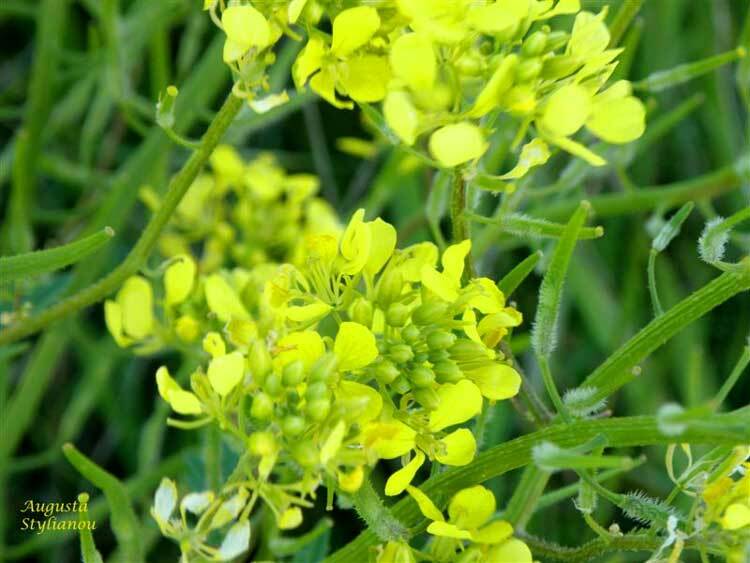 Sinapis arvensis is a plant from the family Brassicaceae, it is commonly known as Wild mustard or charlock. A native of Europe, it has also become naturalized, a weed, throughout much of North America. It is an annual or winter annual up to 1 m tall. The stems are erect with coarse spreading hairs near the base. The basal leaves are pinnatifid to dentate. The cauline leaves are much reduced and are short petiolate to sessile but not auriculate-clasping. The inflorescence is a raceme made up of yellow flowers having four petals. The fruit is a silique 3-5 cm long with a beak 1-2 cm long that is flattened-quadrangular. The valves of the silique are glabrous or rarely bristly, three to five nerved. The seeds are smooth 1-1.5 mm in diameter. 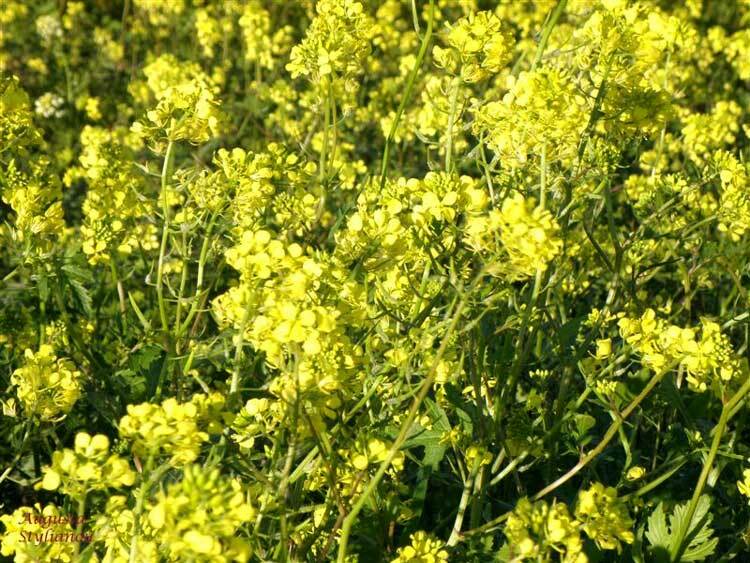 Wild mustard is a highly invasive species, such as in California, and has been reported to be poisonous to livestock. It is eaten by the caterpillars of some Lepidoptera, such as the Small White (Pieris rapae). It contains chemicals of the class glucosinolates, including sinalbin.